Wondering what to get the drummer in your life? Don’t chance it! Follow this guide to find the best gifts for drummers around. It can be hard to find the best gift for that drummer in your life. After all, there are tons of percussion instruments and drum gadgets on the market…how are you supposed to know what exactly they need or could otherwise find a use for? Do they play in a band? Are they more familiar with hand drums, or with something like a cajon? Do they need sticks, straps, or a new throne? Do you even know what qualifies as high-quality, and do you know where you can find it at a reasonable price? Fret not, (yes, that was a guitar joke done in poor taste, sorry) we've got you covered. Today, we will be taking a quick look at our top picks for the best gifts for drummers in 2019 to hopefully give you a better idea of what gift you may want to consider giving your drummer this year. To kick off this list of amazing drum gifts the right way, we are starting from the very beginning. That’s right, we are taking it back to the basics! If you have a drummer in your life, there is no better gift than that of a drum that they can tote around everywhere they go. Drummers often tap on tables, books, and even on themselves when they’ve been away from their drums for any amount of time. When the beat hits them, they can’t help but to move those hands. Bongos are the perfect gift for any drummer who can’t sit still and want to be able to practice their paradiddles or bust out a few jams while they are away from home. 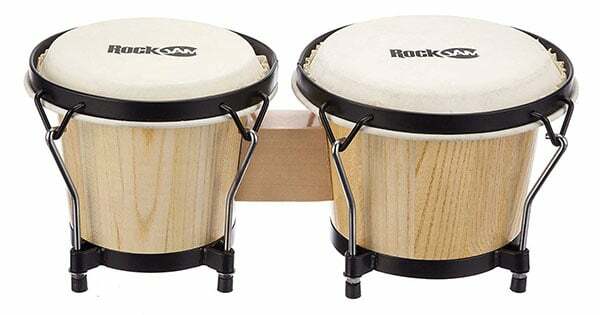 One of the most popular options right now is the RockJam Bongo Drum Set which features both a 7” and 8” drum. Made of durable hardwood shells with a pronounced wood grain style, they are impressive to look at for such small drums. What’s even cooler than that is the custom chrome fittings including on each drum ring that make sure your head is always in the right place and with enough tension to ring out when struck. Needless to say, but these things are built to last! The heads are made of authentic cow skin that has been carefully sourced and refined. Best of all, they carry a tone that is outstanding to hear on such an inexpensive bongo set. To top it all off, RockJam includes a carrying case that is padded and fits the drums snugly. Zildjian is one of those names that when you hear it, it just exudes a vibe of professionalism and high-quality standards. Okay, that might have been a bit wordy, but you get what I’m saying; Zildjian products ROCK! 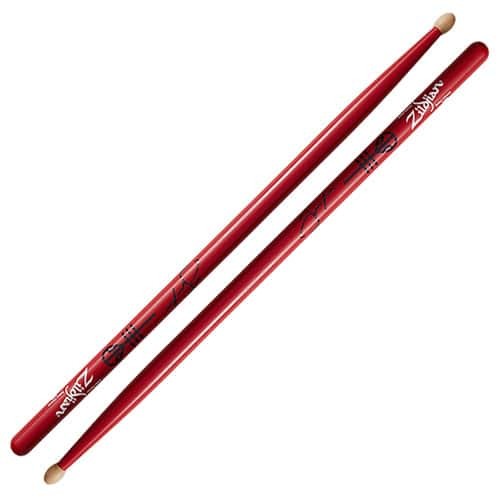 One of their hottest items of the past year has been the Josh Dun Artist Series drumsticks. Featuring a 5A shaft that has been beefed up to give a drummer more reach and velocity, this stick was created with longevity in mind. A medium taper makes sure that everything is properly balanced, while the oval tip helps you to really bring out the bright ring of your cymbals and heavy punch of the drums. They were built for the aggressive style that powers the force behind Twenty One Pilots, so suffice it to say, these sticks are beast-like. I am here to gladly let you know that the paint Zildjian uses on their sticks is truly second to none. On average, you can expect a pair of painted Zildjian sticks to show no major signs of wear with moderate use for roughly a year or so. No paint is going to last forever, but if you can stretch it out up to a year before they get tossed in the not-so-proverbial drum stick graveyard, you have made a wise choice. Want to take a look at some other drumstick options? Check out our drumstick buyer's guide for our other top picks. You know I have to follow up the previous entry on this list with a name that is just as big in the industry. Topping Zildjian can prove to be a bit difficult when talking about percussion gifts. Nevertheless, we are certainly going to try. 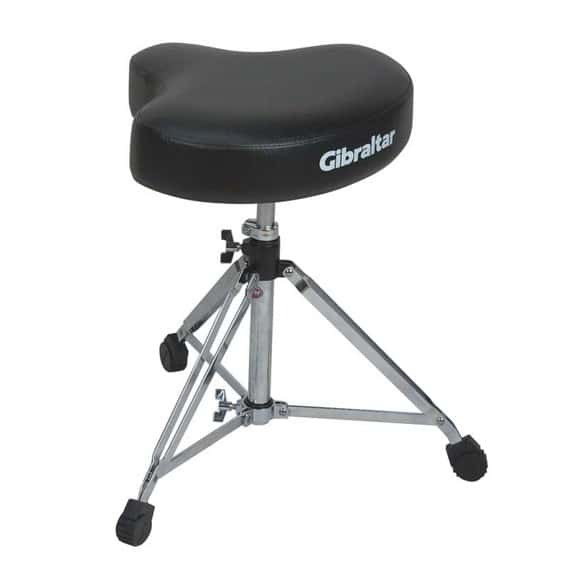 Coming in 3rd place on our list of cool gifts for drummers, we have the Gibraltar 6608 Drum Throne. This is a company that is well-known among drummers. 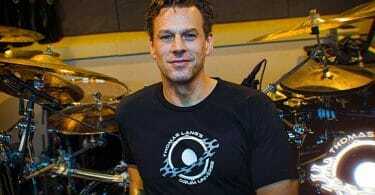 Legends such as Chris Adler from Lamb of God to the Cuban percussionist Luis Contes. And you know if those guys swear by this brand, there must be a pretty good reason. The 6608 Drum Throne keeps the Gibraltar tradition of quality alive. Thanks to top-grade, thick foam seating and large saddle style seat, this is one of the most comfortable drum thrones on the market for under $100 at the moment. Perfect for large drummers or anyone who plans to play through an hour long set. It features direct-in height adjustment capabilities (18” to 24”) that stays put once you set it, all thanks to a sturdy memory lock. The legs are double-braced to give you the most support possible. There is no need to worry about a squeaky or unsteady seat after a few heavy jam sessions. Overall, this drum throne is the perfect gift for any drummer. The name alone will bring joy to their eyes, but the soft cushion of this drum throne will bring joy to their drum playing. I know what you are probably thinking... "A drum set?! I can't afford that!" Worry not! 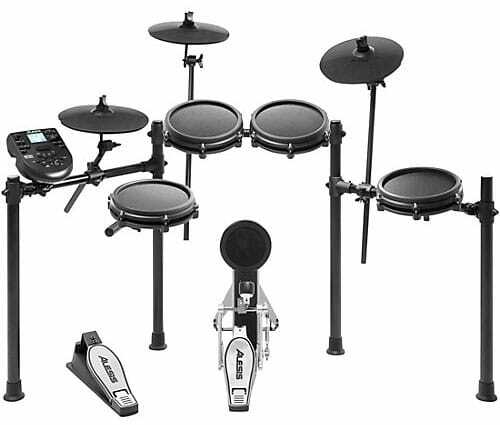 This electronic drum set is super affordable and highly regarded as a great low budget kit. The best part about an electronic drum set is that drummers can plug in headphones and not have to worry about annoying the neighbors. With silent mesh heads, they provide an excellent feel when playing, and you probably won't even hear it in the next room over. I can't tell you how excited I was to get my first electronic kit, and whoever you get this for will surely jump for joy - especially if they live close to neighbors and can't have an acoustic drum set because of noise issues. When you want to go all-out, a drum set is at the top of the list for gift ideas for drummers. I wanted to end this list on a gift that is close to the heart for me and on a gift that keeps giving. What better way to do that than to include a djembe drum? After all, djembe drums are meant to be joyous and its very name roughly translates to “everyone gather together”. If that doesn’t denote joy, then I don’t know what does. 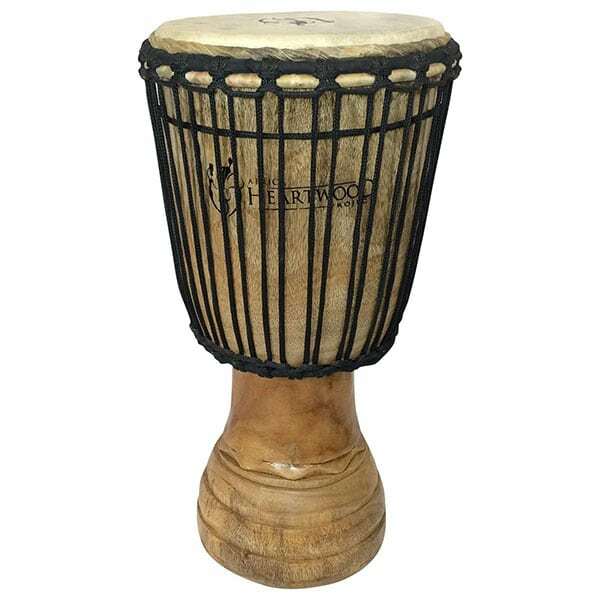 But what really makes the Africa Heartwood Project djembes stand out is the fact that they are made right in West Africa by artisans from places like Ghana, Ivory Coast, and Guinea just to name a few. It is a grassroots non-profit project that aims to increase self-sufficiency and fight poverty in Africa. By purchasing this djembe as a gift for a drummer, you are also helping build sustainable trade for artisan craftsman and their local communities. Furthermore, these djembes sound excellent. I own one myself, in addition of course, to my favorite large cascade Meinl djembe. And I have to tell you, my Heartwood Project drum is my personal “go-to” now, so it's one of the best percussion gifts you can give. Every djembe that comes from the Heartwood Project is has a warm full bass sound, tones that are as solid as you would want, and the slap tones on these djembes ring louder than most Meinl djembes I have owned over the years. The hardwood shells and natural West African goat skin heads give these drums an aesthetic that just puts illuminates a room with the spirit and character of the drum. There is no better gift for a drummer than that of a good djembe! We hope that this list helps you narrow down your search just a bit more. 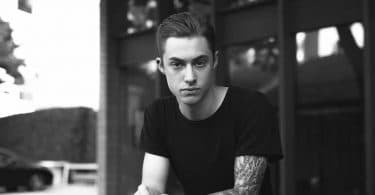 While finding high-quality drummer gifts that won’t break the bank is nothing short of a task to say the least, if you give it just a little thought, it is completely doable. The best part about music, and drumming in particular, is that it is an art form. And all the greatest artists will tell you that quality materials may make for a good sound, but nothing can replicate that feeling a drummer gets when they play from the soul with whatever tools they have at their disposal. That is the great thing about music; it is about personality and creativity above all else. And that only comes from within, the tools do not define what a good drummer can do with just his hands, a surface, and raw creativity. In closing, when you are looking for unique gifts for drummers, just know that they will get the most use out of it when it is given in the name of love for the music. Let that be your guide above all else.